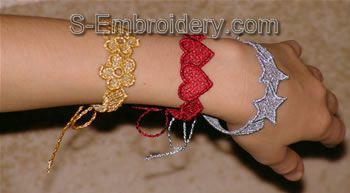 The set includes 3 freestanding lace ring embroidery designs. 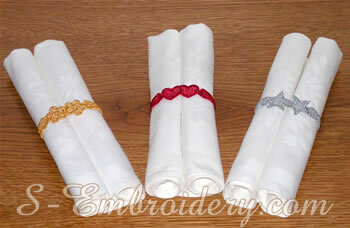 These designs will produce 3 napkin rings but could also make interesting bracelets. The images below show examples of possible use.